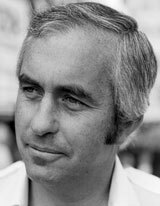 Roger Penske raced in just two grand prix in 1961 and 1962, holding his own against motorsport's elite at the tough Watkins Glen circuit. He was well known as a racing driver but became a household name when he set up his own team in 1965. It entered three F1 championships in 1974, 1975 and 1976, with a best overall finish of fifth in its final season. However, it was in the USA where the team really made its name, winning 10 CART championships and an IndyCar title. It has also been successful in sports car racing, notably with the LMP2 Porsche RS Spyder in the American Le Mans Series and at the Le Mans 24 Hours.